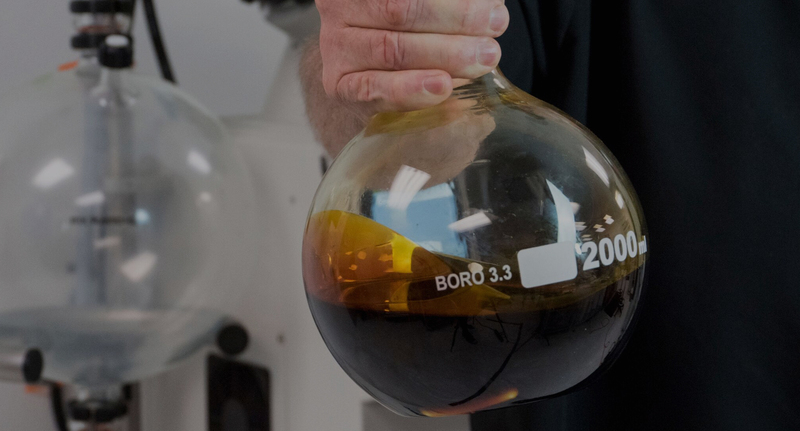 Our extraction process combines both Subcritical and Supercritical CO2 extraction which allows us to get the cleanest, more flavorful, and most potent cannabis oil extract from our flower. We’ve perfected our Subcritical process or ACT (Active Cannabinoids and Terpenes) Technology, which permits us to first extract at low pressure and low temperature to extract the lighter molecular- giving us more active terpenes, cannabinoids, and flavonoids. ACT Technology allows us to get consistently high potency because of the active effects released by the cannabinoids and terpenes. The Supercritical CO2 extraction process creates phase changes from gas to liquid in carbon dioxide utilizing high temperature and high pressure. These phase changes create an environment to drop out differing weights of components in the plant material. The primary reason is to create a pure, clean, quality oil that is safe to produce with little-to- no post-processing, unlike toxic solvents that may require many hours to purge the solvent trapped in the oil. Our pure cannabis oil is filtered five to six times ensuring only purest and cleanest oil.